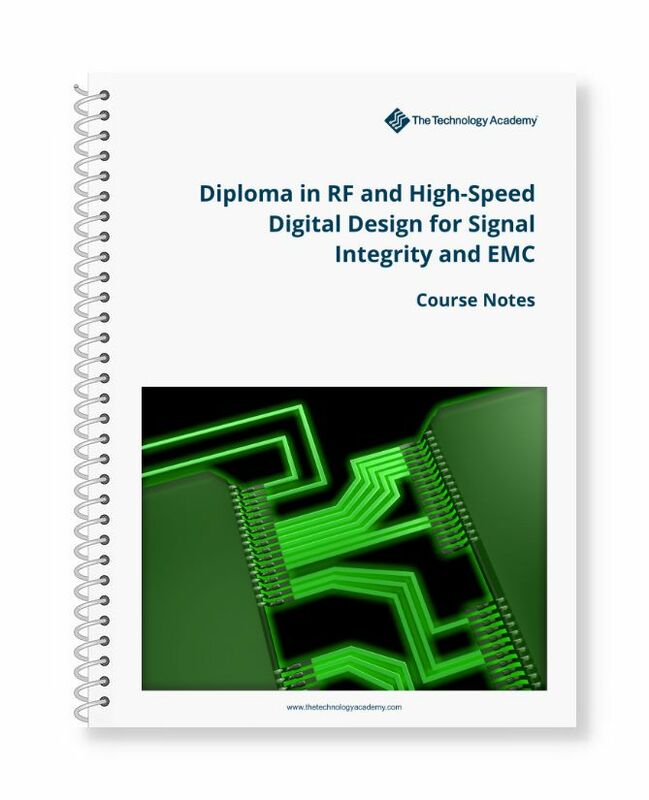 This comprehensive course provides a solid foundation for designing high-performance RF and high-speed digital circuits with fewer design iterations reducing both development times and costs. 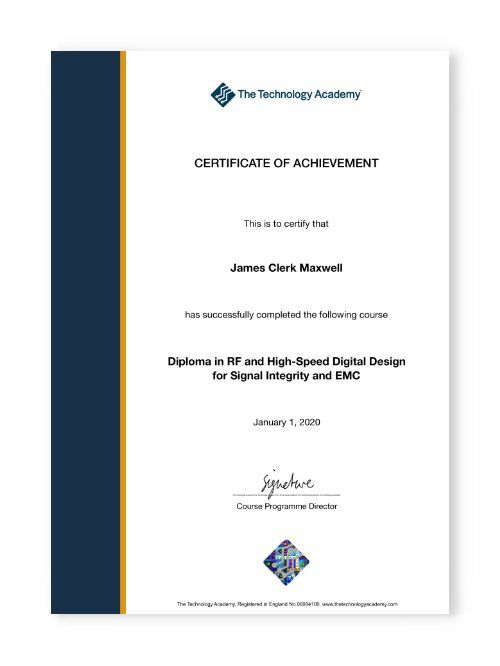 The course covers key design considerations such as signal integrity, noise, crosstalk, electromagnetic interference (EMI) and electromagnetic compatibility (EMC) within RF, digital and mixed-signal circuits. The course also provides a thorough overview of modern printed circuit board (PCB) design principles and layout best practice. This includes a series of useful design rules and checklists to aid development reviews. Developed by PhD-qualified engineers with over 50 years combined industry experience, the course focuses on essential real-world knowledge, bringing together key topics in one place. Throughout the course, important concepts are simplified and explained in a way that conveys the essence of each topic without complex mathematics. The complete course consists of 24 modules. Successfully completing all modules results in the award of a high-quality printed certificate to demonstrate your achievement. The course is based on a series of instructor-led classroom courses delivered in partnership with leading global test equipment manufacturer Rohde & Schwarz. Technical content has been continuously refined based on attendee feedback. Included with the course is a set of high-quality wire-bound course notes printed full-colour A4-size with heavy-duty plastic covers – ideal for taking into the lab. These notes include copies of all the slides featured in the course videos and space for taking notes as you work through the course. Course notes are packaged and shipped to you worldwide as soon as you enrol. This course is aimed at those working with RF and wireless circuits, high-speed digital logic and mixed-signal circuits. 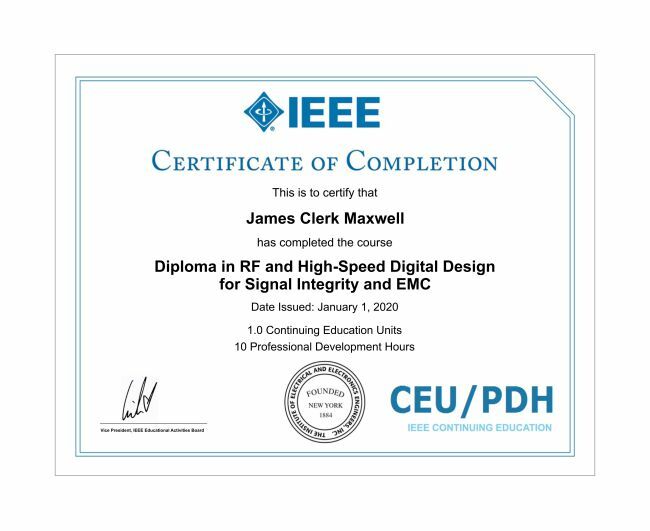 Staff members taking the certification typically include RF design engineers, wireless design engineers, RF applications engineers, digital design engineers, hardware design engineers, hardware applications engineers, PCB layout engineers and technical managers who wish to improve their understanding of signal integrity in order to better manage the design process. Although there are no formal prerequisites for the certification course, an ability to absorb and understand technical concepts is essential together with a desire to learn more about the topics covered. A technical background is desirable in order to derive maximum benefit from the course. Those taking the course would normally be qualified to degree-level or have equivalent experience in an engineering, physics or mathematics-related subject. High-quality printed course notes are included with this diploma course. These are posted to you worldwide when you enrol. They are wire-bound and printed full-colour A4-size with heavy duty plastic covers. They include all 230 slides featured in the course videos and space for notes as you work through the course. This course has been approved by IEEE for the quality of its technical content and adherence to IEEE’s strict criteria for educational excellence. Successfully completing all of the course modules and quizzes results in the award of 1.0 Continuing Education Units (CEUs) and 10 Professional Development Hours (PDHs). CEUs are widely recognized as the standard of excellence for continuing education programs in IEEE’s fields of interest. An official IEEE Certificate of Completion will be emailed directly by IEEE on completion. Successfully completing all of the course modules and quizzes also results in the award of a high-quality printed Certificate of Achievement issued by The Technology Academy. Certificates are made from heavyweight A4 card stock and include a 3D security hologram and attractive gold foil strip – ideal for framing. 1.1 When is a Design ‘High Speed’? 6.14 Which Termination to Use? 15.3 Power Planes or Not? 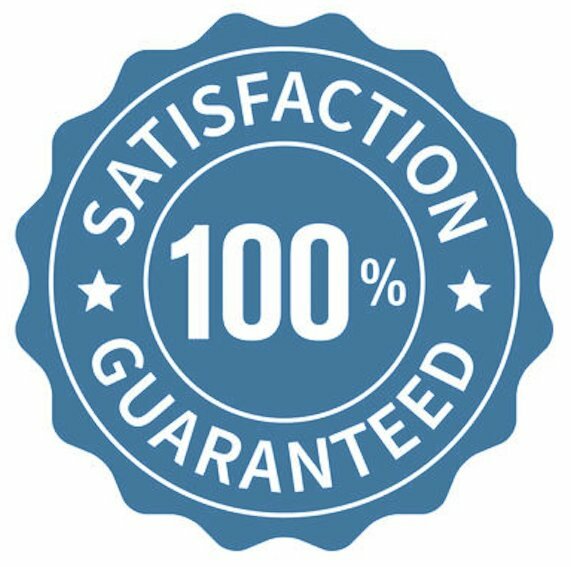 We want you to be satisfied with this course and therefore offer a 100% no-risk refund guarantee. To receive a full refund, all we ask is that refund requests are made within 30 days of purchase and that you have viewed no more than 20 individual course videos. If printed course notes have been despatched, we will deduct USD $50 from the amount refunded to cover printing and shipping costs. Refund requests can be made by telephone or email. How can I buy access to the course? You can buy instant access to the course by clicking on the ‘Buy’ button in the ‘Get started now’ section of this page and paying by card or PayPal. We can also invoice your company if you email us a Purchase Order (PO). If you require a formal quote so you can raise a PO, then please email enquiries@thetechnologyacademy.com with your company name and address. We provide quotations and accept payments in USD $, GBP £ and EUR € by bank transfer, card or PayPal. If you require a Quote in order to raise a Purchase Order (PO) through your company or organisation procurement process, please complete the Quote Request Form. We provide quotes in all major currencies, including USD $, GBP £ and EUR €. Can my employer pay for me by invoice? Yes, we can invoice your employer for payment when we receive a Purchase Order (PO). If you require a quotation for raising a PO, please email us at enquiries@thetechnologyacademy.com. We provide quotations and accept payments in USD $, GBP £ and EUR €. When paying by invoice, we accept payment in USD $, GBP £ and EUR €. Can my employer buy access for me? Yes they can. As well as company credit cards, we can also issue an invoice for payment by your employer when we receive a Purchase Order (PO). If you require a quotation for raising a purchase order, please contact us at enquiries@thetechnologyacademy.com. We provide quotations and accept payments in USD $, GBP £ and EUR €. We issue tax receipts for all payments made by an employer. Can my employer buy access for multiple individuals? Yes they can. This is ideal for new entrants or graduates that must quickly get up-to-speed before they become productive. Multiple ‘seats’ can be purchased under the same purchase order, with seats assigned to individuals as and when required. Please complete the contact form for further details, including a multi-seat quotation. All of our online courses are cloud hosted and can be taken using any device with an internet browser, including PCs, laptops, tablets and smartphones. So you can access training 24/7 wherever you have an internet connection – at work, at home, on the train etc. Can I view video lessons again after completing them? You can view video lessons as many times as you need to on an individual basis during the 365 day activation period. This applies even if you have completed the course and received your printed certificate. The course is delivered as a series of short video lessons in the form of Powerpoint-style slides with a voiceover. Annotations are added by the instructor as video lessons progress to highlight points of interest. Video demonstrations are live recordings of the course instructor with real test equipment in a laboratory setting. The course is taught in English spoken with a British accent. You have unlimited individual access to the entire course for 365 days from the activation date. What is the best way to take the course? The course has been designed as a series of short modules. We recommend focusing on one module at a time, perhaps one module per day. When will I receive the printed course notes? Printed course notes are normally despatched the next working day after you enrol on a course and provide us with your delivery address. For destinations within the UK, course notes are sent 1st Class Royal Mail. For destinations outside the UK, course notes are sent via Royal Mail International and generally take 5 to 7 working days to arrive. Proof of postage will be emailed to you after despatch so you can track your delivery. It will take you around 14 hours to fully complete the course, including all video lessons and quizzes.